Green Network Energy UK will deploy Salesforce's CRM platform in Summer. Green Network Energy UK has announced a partnership with Salesforce that it hopes will enhance its digital transformation and customer care programmes. The independent energy supplier, set-up in 2016, plan to expands it use of the CRM platform in the summer which will see a new customer self-service online portal for customers that communicates service updates, tariff renewal options and allows for meter readings to be submitted. Green Network Energy UK's Founder and CEO Sabrina Corbo says the technology roll-out will benefit their customer base. "Our aim has always been to make our customers feel special," she said. "We are committing to an enhanced relationship with our customers and showing that we are here to make a big difference as a big organisation in the energy sector. Commenting on the partnership, Salesforce's SVP EMEA Cloud Sales, Sanj Bhayro said the modern-day utility customer now expects immaculate service. 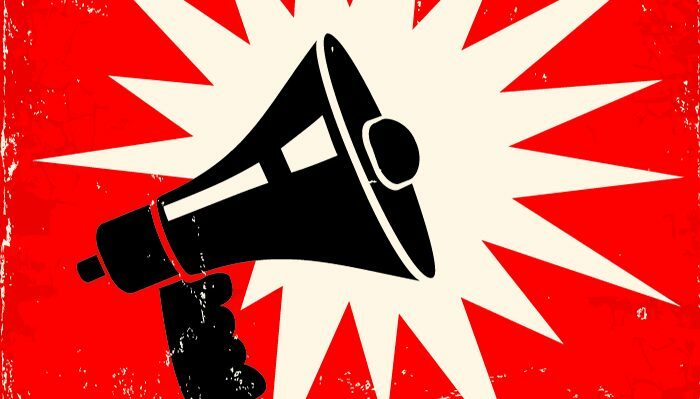 "Much like other industries, customers' expectations in the energy sector are on the rise, with customers demanding a seamless brand experience, getting support when the need it and on the channel of their choice. We're delighted to be working with Green Network Energy to realise their vision of connected, personalised service," he concluded. Thomas Nordås tasked with driving firm's new digital strategy in Norway. Tieto has appointed Thomas Nordås as Managing Partner, a role which will see the former McKinsey employee push the firm's new digital strategy in the Norweigan market. The service and software firm's new strategy is built around design of service experiences and the smart-use of data and Nordas will be expected to implement this new direction for the company, ultimately driving growth in the Scandinavian country. Commenting, Tieto's President and CEO welcomed Nordas to the company, while acknowledging the goal of the firm's new strategy for its customers. "Thomas’ strong experience in consulting and business transformation will further support Tieto’s ambitions and help us create competitive advantage to our customers in this rapidly evolving and digitalizing business environment, where innovation, digital experience and new data-driven business models are the main drivers for companies’ competitiveness," he said. Small to Medium Enterprises (SMEs) who use vehicles are aware of digitisation benefits but many still rely on manual processes. New research from TomTom Telematics shows fleet-based SMEs are turning to digitisation to improve productivity, communication and cost. The study, which canvassed over a thousand companies across the EU and USA, revealed 81% of those decision makers surveyed said they could get more jobs done if they could digitise more of their workflow. However, the majority of those questioned admitted taking a manual-paper heavy approach to every day tasks such as expense management, customer updates and quoting and invoicing. Beverly Wise, TomTom Telematics' UK Sales Director said the survey highlighted two key areas. "First, SMEs are frustrated by the costliness, time ineffectiveness and potential for error explained when handling essential tasks manually," she explained. "And two, managers want digital solutions to take care of these jobs." You can download the full here. 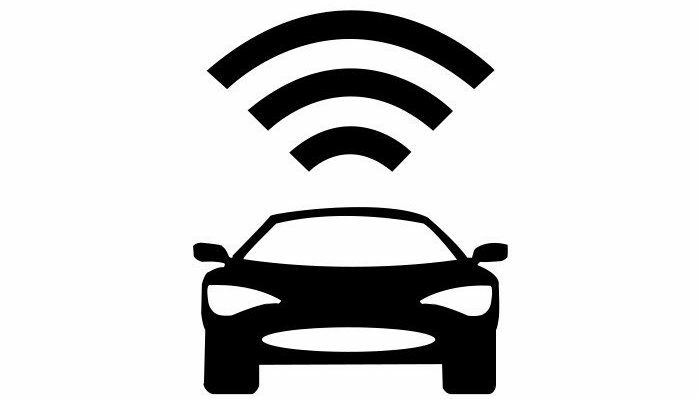 Tool measures vehicles' health and performance by tracking fuel consumption, distance travelled and diagnostics. Verizon connect has launched Engine Connect, a tool aimed specifically at Light Commercial Vehicles. The tool works by gathering data directly from the engine to help prevent mechanical problems. 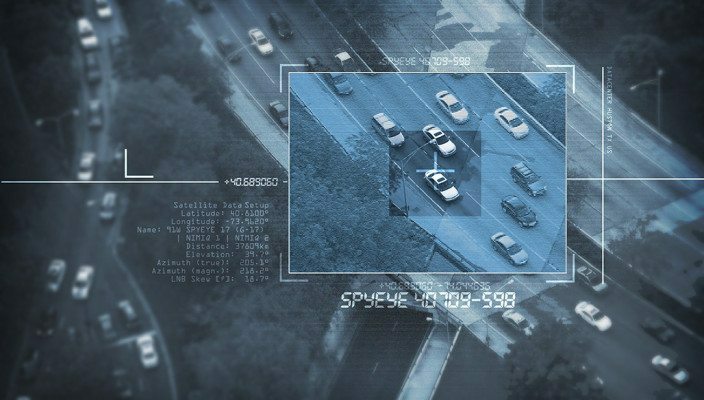 The data is combined with GPS location information and can identify driver behaviour linked to fuel costs. Software automatically keeps VIN records updated and can receive diagnostics trouble code alerts, the company says. Engine Connect gives fleet managers a complete view of their vehicles' performance, enabling them to identify potential vehicles' issues before they become costly," said Derek Bryan, VP EMEA at Verizon Connect. "With a better understanding of vehicle performance, we can help customers save time and money in the future and provide them with peace of mind knowing their vehicles are running optimally." 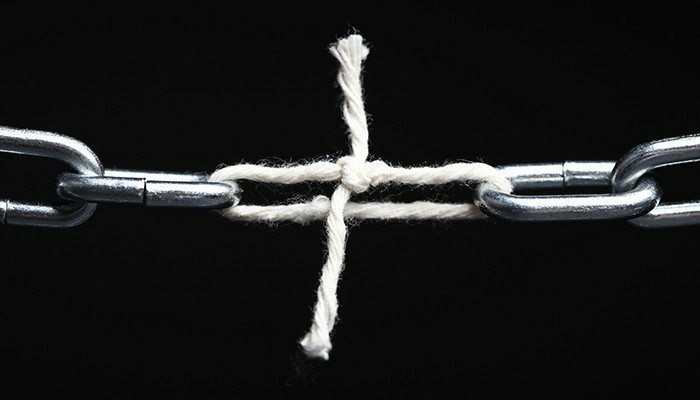 Release of COMPASS 2.0 comes after firm's own research reveals users' security concerns when integrating operating system. Following their own research into Android tablet and handheld adoption for business use, which highlighted worries round security, Panasonic has released a suite of enterprise management tools that, the firms says, are business ready for applications, management and security. 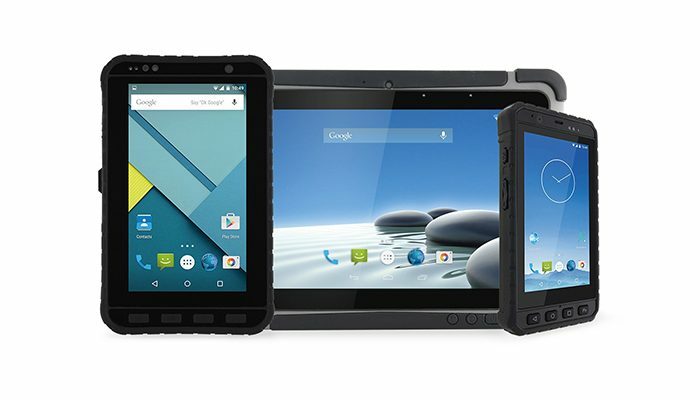 COMPASS 2.0 is made up of five elements that operate on Panasonic's range of Android rugged devices including COMPASS Custom which can offer different level of Android customisation and COMPASS Security, allowing updates to take place locally or remotely via MDM, FOTA or Advanced FOTA. Rob Blowers, is General Manager of Engineering and Project Management at Panasonic Product Solutions Europe. Citing the study, he explains the firm's thinking behind the new software. "Our latest research shows Android tablet and handheld adoption for business use continues to grow although direct feedback from some of our customers suggests there is still a concern specifically around security. "However, with 60% of device buyers saying Android is still being integrated into their organisations, the number of devices is expected to continue to rise over the next three years." An app created by King's College London monitoring outdoor workers' exposure to air pollution has been launched. As part of the British Safety Council's Time to Breathe campaign, King's College London has developed an app aimed at outdoor workers in London that can measure their exposure to air pollution. 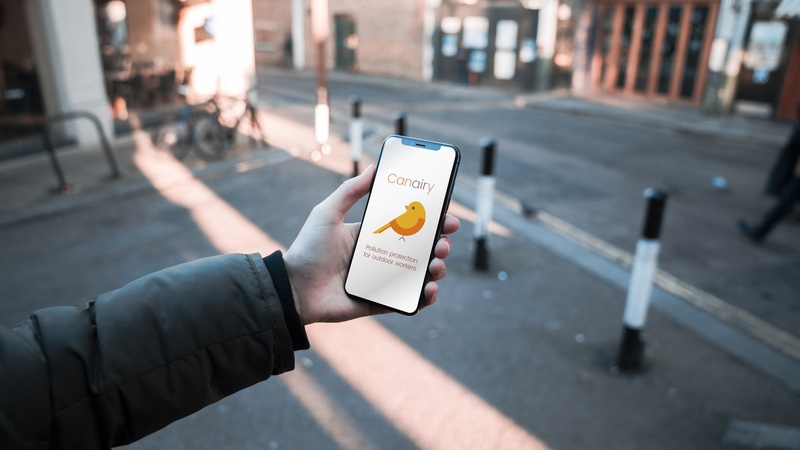 Called Canairy, the app works by cross-referencing a worker's GPS location with the college's London Air Quality Network pollution map, calculating exposure on an hourly basis. Workers are alerted when exposure exceeds World Health Organisation limits on the concentration of nitrogen dioxide, particulates and ozone. King's College research suggests 9,400 in London die prematurely due to poor air quality. Andrew Grieve, Senior Air Quality Analyst at the university, said non-desk workers such as field engineers are at risk from developing complications from air pollution. "As a group, outdoor workers are particularly vulnerable to long-term exposure to ambient air pollution. Within a workplace, the risk of people's exposure to polluted air can be controlled using well-established methods, but this is more difficult for outdoor workers, many of whom work near or on busy roads." The Canairy app is available on Apple and Android platforms. Some business Leaders perceive no value in cyber-security measures, report shows. A statistical analysis of global online trust show some business executives perceive cyber-security initiatives as having a negative return on investment. 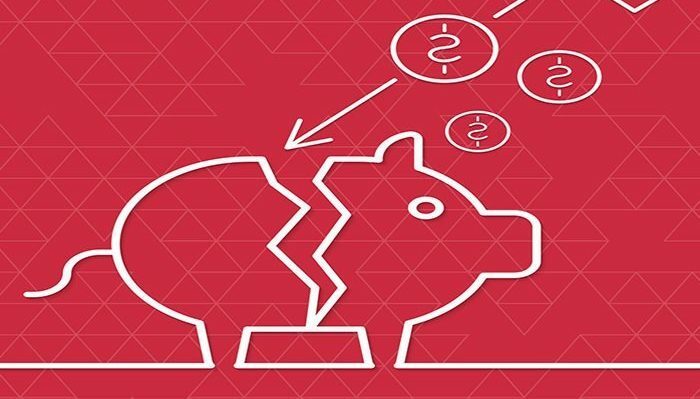 A Survey from Frost & Sullivan, in association with CA Technology, has revealed 27% of business leaders think integrating digital security measures will have no affect on the company's bottom line, however there is a general acceptance that a higher digital trust equates into higher revenue. The report said companies intending to grow must "enhance their digital trust credentials". Digital trust is the measurement of consumer, partner and employee confidence in an organisation's ability to protect and secure data and the privacy of individuals. The study showed 70% of consumers surveyed trusted organisations to take the correct precautions to protect their data, whereas organisations perceived 95% of their customers to be satisfied with the levels of data protection offered. Heating, Ventilation and Air-Conditioning (HVAC) supplier GasTech has incorporated BigChange's cloud-based management system. 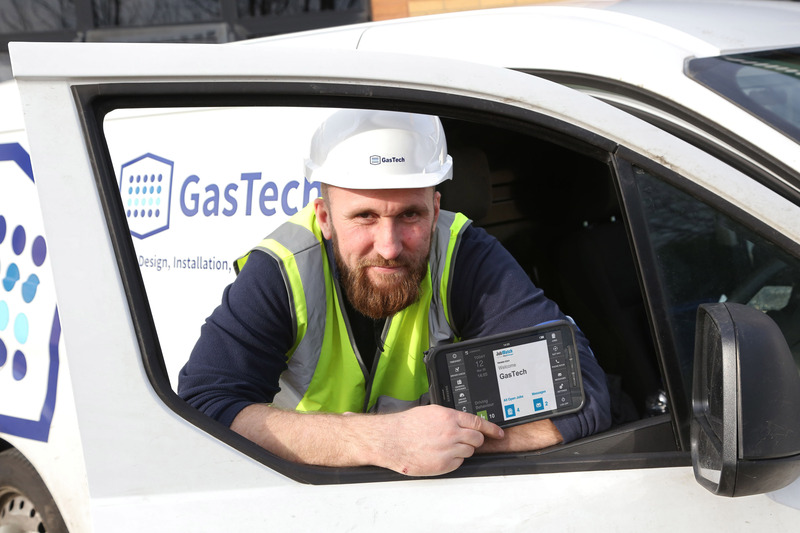 GasTech, based in Newcastle, has issued its engineers with rugged cloud-connected technology to assist with its 24 hours a day, seven days a week operation which includes the supply, install and service of HVAC. The platform, JobWatch, allows workers to carry out risk assessments and method statements and gives access to procedures, manuals, job cards and quotations, which are synced to GasTech's central office system. The firm's fleet operation is monitored with vehicle tracking, producing real-time data for customer services. Client history information is accessible to the engineers who can look up previous work on-site. A live spare-parts manifest give workers an accurate overview of what parts are available in the company and also in other vans. GasTech's Gareth Firth commented on the advantages a paper-free process brings to the business. "With our growing workload we knew we needed to reduce the time engineers spent filling out forms," the firm's Director said. "We undertook extensive research into the available systems on the market and it was clear BigChange was very easy to use and would take away the administrative headaches from engineers so they could be more productive." Cyber attacks increase by 32% in 2018, survey shows. New study also reveals incidents rose in latter half of year with companies struggling to identify when systems are compromised. Research by cyber-security provider F-Secure has shown that cyber attacks in 2018 increased by 32% compared to the previous year. The survey consulted 3350 IT decision-makers, influencers and managers from 12 countries also highlighted a lack of awareness in detecting incidents, suggesting firm's preventative measures such as firewalls were insufficient. Findings also revealed that the Finance and ICT sectors were most commonly targeted by attackers while healthcare and manufacturing received fewest, with the majority of attacks affecting US-based IP addresses. Leszek Tasiemski said today's cyber-attacks had evolved significantly and questioned whether or not companies were even aware of the issue. "Today's threats are completely different from ten or even five years ago," he said. "Preventative measures and strategies won't stop everything anymore, so I've no doubt that many of the companies surveyed don't have a full picture of what's going in with their security."